“You Can Let Go” and “Madeleine” are just two songs that the Backstreet Boys have recorded over the years that sends messages of hope and strength to fans. According to Psychology Today, music has demonstrated efficacy as an independent treatment for chronic pain, anxiety, and depression, along with physical effects such as regulating one's blood pressure and reducing heart rates. 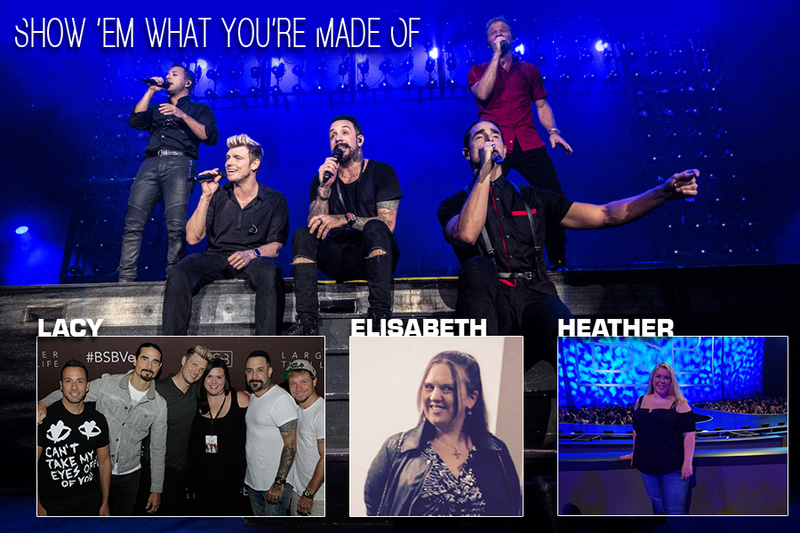 Fans from all over the world have shared their stories of pain, suffering and heartache with Nick, Kevin, Brian, AJ and Howie, and how the Backstreet Boys and their music have helped each one personally. These are just a few of the stories and how the boys have helped them along the way. Penny Keys was 12-years-old when her mother passed away in 1996 right before her second year of middle school began. It was one morning as she was getting ready for school, she had her television on MTV and “Quit Playing Games (With My Heart)” came on. Penny said that music was always her outlet for everything and the Backstreet Boys helped her so much over the years. Penny’s father ended up dying and as she and her brother were leaving the funeral home, her brother, a big hip-hop fan, played “I Want It That Way” for her. “I completely lost it,” Samantha said. “I fell apart while I was on the phone with my Dad and sobbed on the floor for over an hour when I hung up with him. I kept listening to the boys when I needed some distractions throughout the days. Two weeks later, Samantha’s mother came home from the hospital, but was not doing very well, having become very weak and slept most of the day. But after being hospitalized again, she started listening to more of the Backstreet Boys’ music. “‘Never Gone’ and “Show ‘Em’ both hit me very hard and had pretty much become the two main songs that were holding me together,” Samantha said. “I played ‘Show ‘Em’ on heavy rotation and made that song almost like my mom’s ‘battle cry’ song because I had wanted her to be able to beat this." Unfortunately, Samantha’s mother passed away. For Lacy Piner, it wasn’t a family member that she lost - it was her best friend Christina who she shared the love of Backstreet Boys with. Like any set of best friends, they had their favorite boys. Unfortunately, Christina suffered an unexpected death that shocked Lacy to her core and she had no idea how to live life without her. And according to Lacy, Christina’s mother was right. “I’ve never told anyone this before … there is a moment in every concert that it hits me - she’s not there,” she said. “It takes everything with within me to hold back to the emotions. It’s almost like I can feel her beside me. As crazy as it sounds, her memory truly does live on through the music. Elisabeth Heginbotham can’t count the number of times the Backstreet Boys and their music have helped her. According to Elisabeth, when she was 20-years-old, she became very sick. Doctors kept telling her she had an eating disorder. However, it wasn’t until nine months later when her weight dropped drastically that specialists told her she had Crohn's Disease. Unfortunately, Elisabeth’s Crohn's flared up in 2013 and she became very sick, even having to be put in a medically-induced coma. For Health Fitzsimmons, she did not have the easiest time growing up having been bullied at school for her weight and her shyness. “Many classmates thought I was stuck up because I was quiet and there were times when I was put on the ugly list by some of the popular boys,” she said. “One boy, in particular, would sing the Jenny Craig song behind me every day in the lunch line. Kristin went home every day, she said, because she thought she was never good enough. According to Heather, the members of the group weren’t perfect and she gained strength knowing that it was okay that she also wasn’t perfect. “And for that, I will forever be a fan and appreciative for their music and their talent,” Heather said. According to Kristen, she listened to the Backstreet Boys as a young child and is now a 26-year-old woman who they still continue to inspire and help with their music. “I love them with all of my heart,” she said.